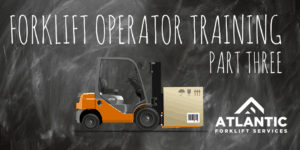 After sliding through the first two parts of the online forklift operator training, I was starting to feel pretty good about my chances. The math in Part Two wasn’t that intimidating and the physics of the center of gravity conversation and the forklift Stability Triangle made perfect sense. I was now about 40 minutes into the course, and it felt right. Enter Part Three: Load Handling. Now, we’re getting dirty. After all, this is the whole purpose of the forklift- it picks stuff up and it puts stuff down. Sometimes heavy, oddly shaped stuff. Sometimes hazardous stuff. Sometimes tall stacks of stuff have to be placed up high. There’s a lot to consider here. It turns out if you simply follow a procedure when you pick up or place down a load, you’ll be just fine. Every load, on its surface, is the same no matter how big or small. Admittedly there’s more to it than that, but I need to leave something for you to learn or I’m doing all the work for all of you and while I am motivated, I’m not THAT motivated. Some of this stuff you’ll need to pick up yourself. This part of the training is important- procedures keep you, your co-workers, your equipment, and your loads safe. Developing that “muscle memory” when you pick up a load just makes you a better forklift operator. I get that. So part three of the lesson is all about procedure, common sense, and basic physics. I completed this part of the course in just under 30 minutes and scored 8 for 8 on the quiz at the end. You’ll be feeling pretty confident once you get past Load Handling, but don’t get cocky. Safety is next, and there are a few eye-opening surprises. 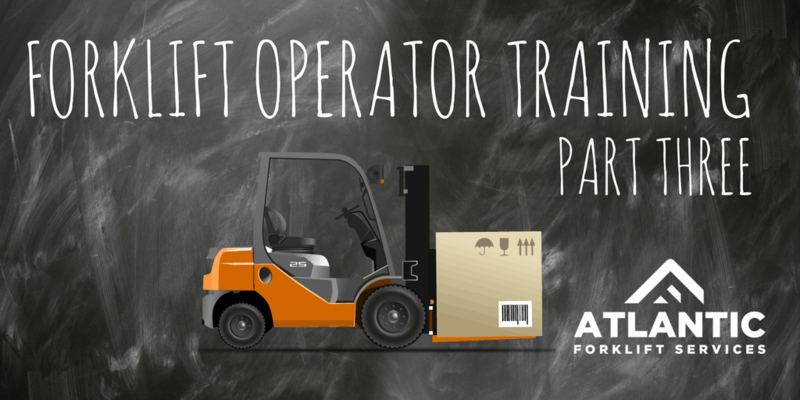 If you think becoming a forklift operator is in your future, give us a call. We can get you started.